Mary”). Don’t just read the readings, internalise them; don’t let your lips just mouth the prayers, truly pray them. First comes a 12-day preparation period that consists of emptying oneself of the spirit of the world in penance and mortification. For those 12 days, we pray the Veni Creator, the Ave Maris Stella, the Magnificat and the Glory Be. Then follow 3 weeks, each week having a specific focus. The first week focuses on offering up our prayers and devotions for the purpose of coming to understand ourselves and our sins; humility is the key and the prayers help us. During the second week, we ask the Holy Spirit to help us better understand the Blessed Virgin; we pray the Litany of the Holy Ghost, the Litany of Loreto, the Ave Maris Stellis, the prayer to Mary by St Louis-Marie and 5 decades of the Holy Rosary each day for assistance. 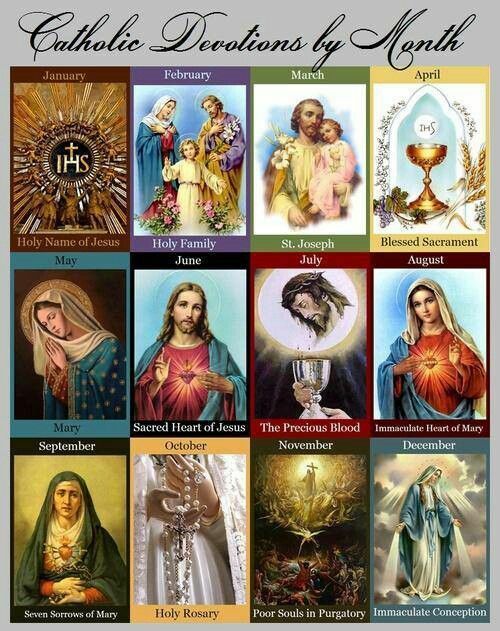 During the third week, we seek to better understand Christ through meditation and the Litany of the Holy Ghost, the Ave Maris Stella and the Litany of the Holy Name of Jesus, Montfort’s prayer to Jesus, and the prayer O Jesus Living in Mary. And seeing the multitudes, he went up into a mountain and when he was set down, his disciples came unto him. And opening his mouth, he taught them, saying: Blessed are the poor in spirit: for theirs is the kingdom of heaven. Blessed are the meek: for they shall possess the land. Blessed are they that mourn: for they shall be comforted. the prophets. I am not come to destroy, but to fulfil. For amen I say unto you, till heaven and earth pass, one jot, or one tittle shall not pass of the law, till all be fulfilled. He therefore that shall break one of these least commandments and shall so teach men, shall be called the least in the kingdom of heaven. But he that shall do and teach, he shall be called great in the kingdom of heaven. 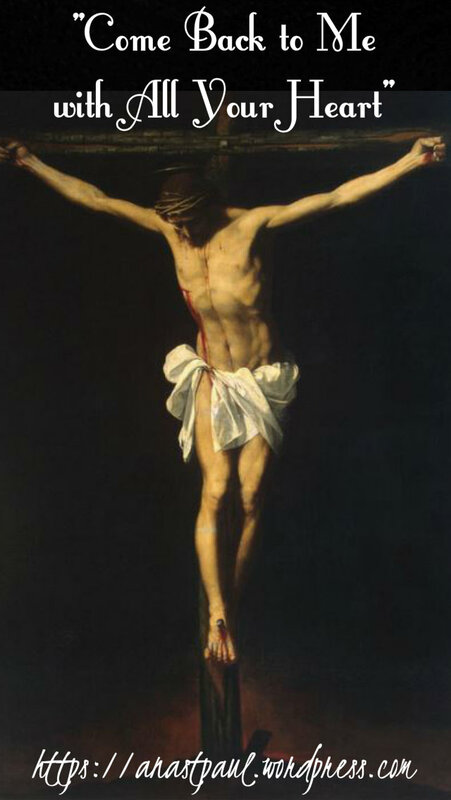 It manifests itself by the concupiscence of the flesh, by the concupiscence of the eyes and by the pride of life and by disobedience to God’s laws and the abuse of created things. Its works are – sin in all forms, then all else by which the devil leads to sin; works which bring error and darkness to the mind and seduction and corruption to the will. Its pomps are the splendour and the charms employed by the devil to render sin alluring in persons, places and things. things to me and holy is His name. to those that fear Him. Abraham and to his seed forever. Little Known Fact #5: Father Karol Wojtyla was only 38 when he was made a Bishop. It did not change his lifestyle at all. True, instead of walking everywhere he had a bicycle and even a rather ancient car and chauffeur to get around the diocese and in order not to waste time, he had a table and a light fixed into the car, to allow him to read and work on necessary journeys. Note: St John Chrysostom (347-407) , who grew up in Antioch, taught that St Ignatius had been ordained at the hands of St Peter. According to ancient tradition, St Ignatius was the child whom Christ had held, as described in Matthew 18:4, as depicted in the fresco below from the Gračanica. Detail from a fresco depicting Christ picking up the child St Ignatius, from the account in the Gospel of St Matthew 18:4. Overall, it is possible to grasp in the Letters of Ignatius a sort of constant and fruitful dialectic between two characteristic aspects of Christian life: on the one hand, the hierarchical structure of the Ecclesial Community and on the other, the fundamental unity that binds all the faithful in Christ. Consequently, their roles cannot be opposed to one another. On the contrary, the insistence on communion among believers and of believers with their Pastors was constantly reformulated in eloquent images and analogies – the harp, strings, intonation, the concert, the symphony. The special responsibility of Bishops, priests and deacons in building the community is clear. This applies first of all to their invitation to love and unity. “Be one”, Ignatius wrote to the Magnesians, echoing the prayer of Jesus at the Last Supper: “one supplication, one mind, one hope in love…. Therefore, all run together as into one temple of God, as to one altar, as to one Jesus Christ who came forth from one Father and is with and has gone to one” (7: 1-2). Imploring from the Lord this “grace of unity” and in the conviction that the whole Church presides in charity (cf. Romans, Prologue), I address to you yourselves the same hope with which Ignatius ended his Letter to the Trallians: “Love one another with an undivided heart. Let my spirit be sanctified by yours, not only now but also when I shall attain to God…. In [Jesus Christ] may you be found unblemished” (13). that I may be found the pure bread of God. the Son of the true God and Father, Jesus Christ. Him I seek, who died for us and rose again. I am eager to die for the sake of Christ. and there is no fire in me that loves anything. PRAYER – Heavenly Father, grant that I may believe what I have learned, never presuming to know better than the teachings of Holy Mother Church and that I may put into practice what I believe. Let my commitment be like unto the Martyr, St Ignatius of Antioch, who went with joy to his horrific death, for the faith in Christ, Your Son, God with You and the Holy Spirit. St Ignatius, pray for us, amen. Today, we will be speaking of St Ignatius, who was the third Bishop of Antioch from 70 to 107, the date of his martyrdom. At that time, Rome, Alexandria and Antioch were the three great metropolises of the Roman Empire. The Council of Nicea mentioned three “primacies”: Rome but also Alexandria and Antioch participated in a certain sense in a “primacy”. Eusebius writes: “The Report says that he [Ignatius] was sent from Syria to Rome and became food for wild beasts on account of his testimony to Christ. And as he made the journey through Asia under the strictest military surveillance” (he called the guards “ten leopards” in his Letter to the Romans, 5: 1), “he fortified the parishes in the various cities where he stopped by homilies and exhortations and warned them above all to be especially on their guard against the heresies that were then beginning to prevail, and exhorted them to hold fast to the tradition of the Apostles”. The first place Ignatius stopped on the way to his martyrdom was the city of Smyrna, where St Polycarp, a disciple of St John, was Bishop. Here, Ignatius wrote four letters, respectively to the Churches of Ephesus, Magnesia, Tralli and Rome. “Having left Smyrna”, Eusebius continues, Ignatius reached Troas and “wrote again”: two letters to the Churches of Philadelphia and Smyrna and one to Bishop Polycarp. Thus, Eusebius completes the list of his letters, which have come down to us from the Church of the first century as a precious treasure. In reading these texts one feels the freshness of the faith of the generation which had still known the Apostles. In these letters, the ardent love of a saint can also be felt. No Church Father has expressed the longing for union with Christ and for life in Him with the intensity of Ignatius. We therefore read the Gospel passage on the vine, which according to John’s Gospel is Jesus. 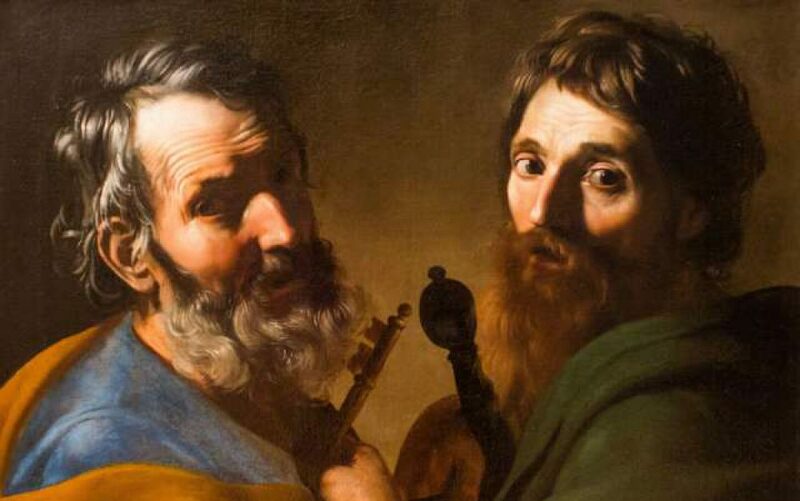 In fact, two spiritual “currents” converge in Ignatius, that of Paul, straining with all his might for union with Christ and that of John, concentrated on life in Him. In turn, these two currents translate into the imitation of Christ, whom Ignatius several times proclaimed as “my” or “our God”. One can perceive in these words on fire with love, the pronounced Christological “realism” typical of the Church of Antioch, more focused than ever on the Incarnation of the Son of God and on His true and concrete humanity: “Jesus Christ”, St Ignatius wrote to the Smyrnaeans, “was truly of the seed of David”, “he was truly born of a virgin” “and was truly nailed [to the Cross] for us” (1: 1). Ignatius’ irresistible longing for union with Christ was the foundation of a real “mysticism of unity”. He describes himself: “I therefore did what befitted me as a man devoted to unity” (Philadelphians, 8: 1). Ignatius was the first person in Christian literature to attribute to the Church the adjective “catholic” or “universal” – “Wherever Jesus Christ is”, he said, “there is the Catholic Church” (Smyrnaeans, 8: 2). And precisely in the service of unity to the Catholic Church, the Christian community of Rome exercised a sort of primacy of love: “The Church which presides in the place of the region of the Romans and which is worthy of God, worthy of honour, worthy of the highest happiness… and which presides over love, is named from Christ and from the Father…” (Romans, Prologue). As can be seen, Ignatius is truly the “Doctor of Unity” – unity of God and unity of Christ (despite the various heresies gaining ground which separated the human and the divine in Christ), unity of the Church, unity of the faithful in “faith and love, to which nothing is to be preferred” (Smyrnaeans, 6: 1). Ultimately, Ignatius’ realism invites the faithful of yesterday and today, invites us all, to make a gradual synthesis between configuration to Christ (union with Him, life in Him) and dedication to His Church (unity with the Bishop, generous service to the community and to the world).